Ever heard of the QR code? I just got my Magazine in the mail, POTTERY MAKING ILLUSTRADED. 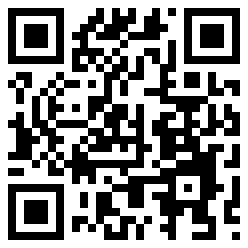 There is this article about the QR code very interesting and so easy! I had to try it out and in no time here it is my own QR code! You might have seen these funky little codes that look like a series of black boxes on products in stores. This black and white code is called a "QR code" The QR code or "quick response" code, can contain a lot of information and can be read quickly with computer scanners. It's very easy to use with a smart phone or ipad. All you do is run an app search for a QR reader on your phone or ipad download it to your smart phone or ipad, and start scanning using the phone's camera and the app. The QR code has the capability to connect potential customers in a gallery or anywhere very quickly to information about the artist via the smart phone-ipad app. This code can be placed on any printed material such as business card, postcard, price labels,hang tags or poster for immediate scanning and it wil send customers directly to your website, blog or even a specific information page for the piece they're purchasing. It wil send traffic directly to your web page. All a bit technical but give it a go and you'le see its easy! fancy being able to bar-code your own gear - what next. Thanks for letting us know. I have seen them but never before investigated. Thanks Mieke. Mieke - you are dragging all artist with you into the future!! well done - love your work by the way - wonderful! !